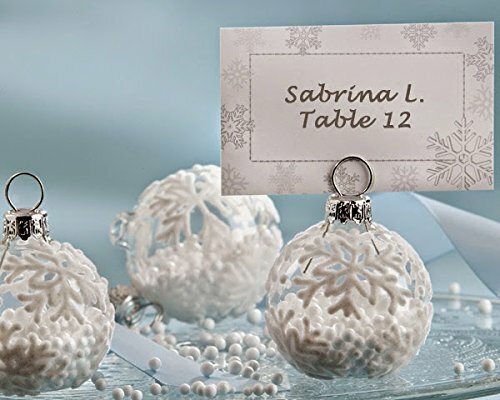 96 ''Snow Flurry'' Flocked Glass Ornament Place Card/Photo Holder by Kate Aspen at Doctor Joe Says. Hurry! Limited time offer. Offer valid only while supplies last.